As of July 2015, all people involved with installing, constructing and inspecting/testing electrical installations must comply with the rules and regulations outlined in the IET Wiring Regulations 17th Edition: Amendment 3. 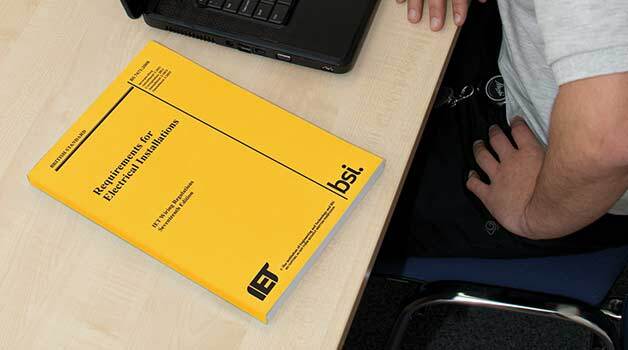 Several changes were made to the IET Wiring Regulations under the 3rd Amendment (2015) – to help you to understand these changes and how they may affect your work on a daily basis, PASS is now running regular 3rd amendment workshops. This workshop is best suited to those with an existing 17th edition qualification who want to gain an understanding of how the changes made under Amendment 3 affect them. There are no formal requirements for this workshop. Anyone can attend, but a working knowledge of the previous 17th edition regulations would be beneficial. What Does the 3rd Amendment Workshop Cover? Another change to the numbering system! New Section 557 – Auxiliary Circuits – what are they? Candidates will gain a full understanding of the changes introduced to BS7671:2008. On completion of the 3rd Amendment Workshop, candidates will receive a certificate of attendance from PASS. Dates are available by selecting a location on the left menu. Alternatively, please contact us or call on 0845 365 39 45. You can book online, contact us or call on 0845 365 39 45.